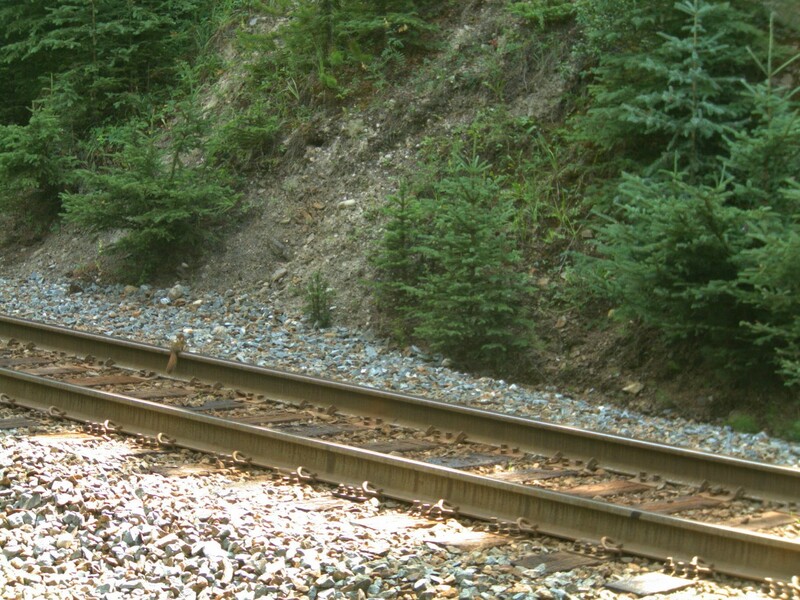 Grains have been reported to regularly trickle from hopper cars travelling via the railway located within the Canadian Banff and Yoho National Parks, attracting the local red squirrels. As a result, the rodents have grown used to foraging on the spilled seeds, which they collect in underground storage areas where they can be discovered and dug up by grizzly bears. Grain-conditioned bears may frequent the railway more often than usual, resulting in increased mortality by trains strikes. Furthermore, the dispersal, following caching and digestion of such seeds by both squirrels and bears, could lead to the spread and establishment of those agricultural plants in the area. The case is investigated and discussed by members of the University of Alberta‘s research team of Julia Elizabeth Put, Laurens Put and Dr. Colleen Cassady St. Clair. Their study is published in the open access journal Nature Conservation. It all began when members of the team found a grain-filled midden that was visited by a bear near where the same bear had bluff-charged Parks Canada employees. At the time, the researchers were investigating possible explanations for causes of grizzly bear mortality on the adjacent railway. Thus, an unexpected opportunity to document interactions between species and how those can lead to human-wildlife conflicts presented itself to the scientists. The three basic questions brought up by Julia and her team were whether spilled grain could increase the number of squirrels near the rail; if other middens contained grain; and if other bears accessed grain in middens. Eventually, their data provided a resounding ‘yes’ to all of them. 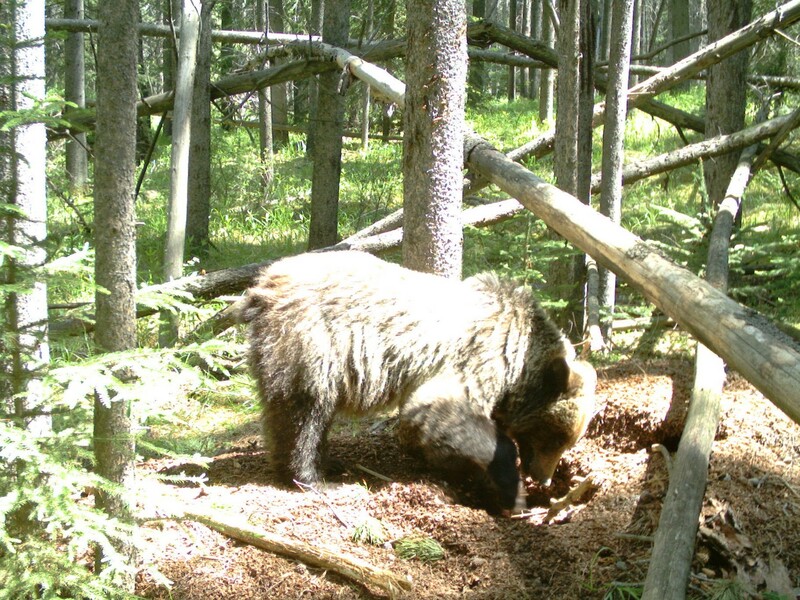 In some mountain parks in North America, including Banff, grizzly bears are known to excavate squirrel middens to access whitebark pine seeds. The tree, however, is only found at high elevations far from the valley bottom where the railway is located. Nevertheless, this behaviour may easily translate to targeting other food items in middens, such as grain, speculate the researchers. Once a bear consumes grain from a squirrel midden, it could initiate or reinforce a tendency to seek grain on the rail, where it is generally less concentrated. Such conditioning of food rewards could lead to grizzly bears spending more time in the area around or on the rails, where they would be at risk of being struck by trains. “The only feasible mitigation for these effects is to reduce spillage from hopper cars via careful attention to loading and gate maintenance,” conclude the authors.